Are there new developments in Afghanistan and around, that demand a new push, with Kabul as the pivot? Is there an Afghan common ground in the region today – cutting across South Asia and Central Asia? There have been numerous efforts and initiatives during the recent years to find a common ground in Afghanistan – at bilateral and multilateral levels. Few track-II initiatives in the region led by participants from India, Pakistan and Afghanistan did attempt to break the deadlock. Afghanistan, Pakistan, China and the US led a dialogue with the Quadrilateral Coordination Group (QCG). At the multi lateral level, there has been a larger initiative – the Heart of Asia process. Besides the above, during the recent period, there was yet another dialogue in Moscow, with Afghanistan at the core. In terms of initiatives and forums, there have been adequate numbers on Afghanistan; yet the results do not justify the efforts. Perhaps, the issues and problems surrounding Afghanistan are more complex, or the initiatives to resolve them are not intensive and comprehensive enough. Just because the earlier initiatives failed to break new ground does not mean there is no scope further. Conflict environment such as Afghanistan demands continuity in resolution processes; and new attempts to bring actors to the negotiating table. States have to keep trying; civil society, especially the academic community and media share a responsibility to project alternative and innovative ideas. Five sets of developments during the recent weeks call for a renewed approach to find a common ground in Afghanistan. First, increasing violence within Afghanistan. Recent attacks in Kabul and elsewhere within Afghanistan and the casualty figures during the last two months are substantial. While the Afghan security forces are attempting to cope with increased violence, it does affect the morale of the government. The protest in Kabul against the government in early June, following the disastrous attack in diplomatic enclave highlights the growing frustration amidst the population. The successive Afghan governments during the last decade have covered a vast ground and cannot afford to lose legitimacy owing to growing violence. Second, one is not sure how the Trump administration is likely to respond to Afghanistan in the near future. Clearly, Afghanistan is work in progress; stability cannot be achieved overnight, given the recent history of Afghanistan since the 1970s. The country has witnessed different forms of government – from far Left to far Right. Every government promoted its own form of judiciary and pursued its own version of governance. Besides domestic issues, there were substantial international interests in Afghanistan, interfering in the governance structure further and deepening the Afghan fault lines. It would not be easier for any democratic government in Afghanistan to achieve “success” in the immediate future. Unfortunately, the international “fatigue” demands answers now and try to measure success with what has gone inside during the last fifteen years. To stabilize Afghanistan, given its above history, one needs more time and support. One is not sure whether Trump would have that patience and continue supporting Afghanistan – both at military and economic levels. Afghanistan will have to travel further to become anything closer to being stable; if the Trump administration decides to pull the plug, it would negatively impact this process. And such a course will affect whatever Afghanistan has achieved during the last decade. Third, the growing presence of the Islamic State in Afghanistan. This is a clear and present danger not only for Afghanistan, but for the entire region. It is imperative that the region does not allow another non-State actor. Fortunately, none of the State actors in the region supports the IS; unlike other non-State and militant groups, which are considered as someone’s proxy, the IS does not have a State mentor in the region. Given the radical ideology that the IS profess and violent strategies it pursue, allowing this group to find roots in Afghanistan will be a disaster for the entire region – both Central Asia and South Asia. Also the recent militant attack in Tehran by the IS underlines the expanding focus of the group. Fourth, on the positive side, recent developments inside the SCO provide a new opportunity for the region on Afghanistan. 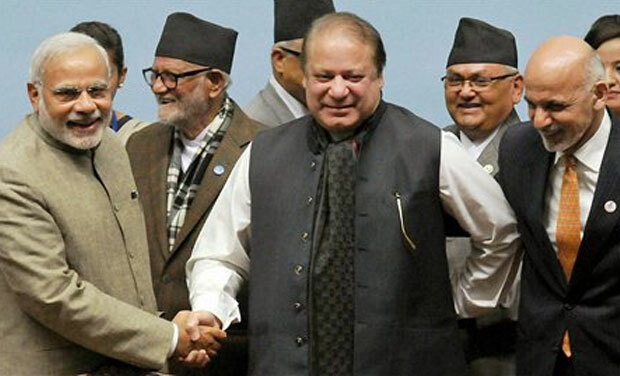 Both India and Pakistan have become members of the SCO that has Russia, China and the States of Central Asia. Inclusion of India and Pakistan inside the SCO will make Afghanistan a centre and a bridge between two regions – South Asia and Central Asia. In SAARC, Afghanistan was in the west corner, and in the SCO until recently, Afghanistan was in the southern corner. New inclusions in SCO make Afghanistan occupy a pivotal position, and thus becomes an opportunity for two regions. This also provides another chance for the region to revitalise some of the energy projects that are being discussed already - including the Turkmenistan-Afghanistan-Pakistan-India (TAPI) pipeline and the Central Asia-South Asia (CASA) electricity corridor. Also, during the recent SCO summit at Astana, both Nawaz Sharif and Ashraf Ghani managed to break the deadlock, and restart the bilateral process. Fifth, developments in the larger Asian region with China and Russia taking crucial leads in two massive projects provide another opening in Afghanistan. Much has been discussed already about the One Belt One Road (OBOR) initiative led by China. Beijing’s ambitious project is likely to bring substantial funds and projects, and also create a larger infrastructural network in the region. Though not discussed as much as the OBOR has been, Russia has been working on creating a Eurasian Economic Union. In South Asia, there should be a larger debate on this initiative, including how the region could make use of it. Geographically, Afghanistan will become the gateway for South Asia to Eurasian Economic Union. India and Iran have also been working on a North-South Corridor cutting across Afghanistan. If the above three initiatives are plotted in a map, one could understand the network it would create across and along Afghanistan in Asia. To answer the questions raised initially – yes, there are new developments in the region within and around Afghanistan that calls for a fresh initiative, with Kabul as the pivot. Instead of expecting or accusing Trump for not doing enough, the region will have to look inwards, take ownership and prepare a road map. There is enough power in the above mentioned Asian led projects to fire the Afghan engine. The above analysis was originally published in the Daily Times.